With our Salsify team growing, we’ve introduced a new blog series to introduce some of our team members and how they contribute to the company. Next up is David Gold from the Sales team! 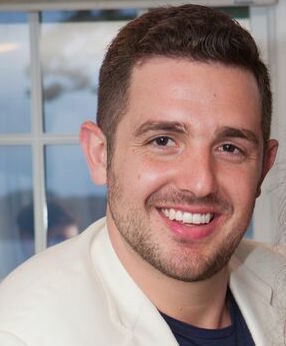 David hails from Brookline, MA and joined the Salsify team 18 months ago. His favorite hidden gems in Boston are the Boston Harbour Islands, and if he could only eat one food for the rest of his life it would be pizza, because “It’s so customizable!”. David is a member of the Sales team, which means he works with companies to meet their business objectives by investing in Salsify. I worked with a company that made custom bathroom vanities and was looking to expand into finished goods so that they could sell more products online. It was really cool to see how the Salsify platform fit in with their initiative. They relied on Salsify to get to market faster and ultimately show better merchandised products to the consumer. I think that tech is getting more sophisticated and the market is growing because more consumers are either purchasing online or are influenced by what is already online. Therefore, it is going to get easier to get more products out there to more channels and to streamline logistics, making better shopping experiences for the consumer. I think long run what you’ll see is Amazon’s e-commerce growth slow relative to other IR500s. Amazon diversifying could be a sign of them protecting against that risk. AWS is a huge part of their business and some other Amazon divisions are picking up steam and creating their own products, so you can see them branching out and diversifying into other branches other than just ecommerce. Amy: better performer, Tina: Better writer. I purchased Warby Parker sunglasses. They’re an ecommerce store with a few showrooms. Initially I found $500 Persols which were way too expensive, so I opted for a cheaper brand. In the Warby Parker showroom, the first pair of sunglasses I saw were perfect so I threw down my credit card and walked out- best shopping experience ever. Best part of working at Salsify? The macbook! I was never a mac person but now I will be forever. What did you think when you first heard ‘Salsify’?